The Umihara Kawase series originated with the release of the first game on the Super Nintendo. Following that, a second game in the series, Umihara Kawase Shun was released for the Sony Playstation, the soundtracks of which were released by Supersweep in 2008. 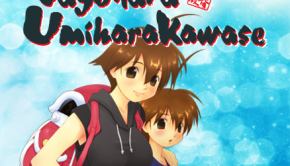 After a long hiatus, a third game, for the Playstation Vita, Sayonara Umihara Kawase Chirari was released. The games themselves are side scrolling platformers and have an aquatic focus, at least for the first two games, and as such, the music reflects that. Composed by Masahito Nakano, Shinji Tachikawa, and Atsuhiro Motoyama, what sort of experience can one expect from this compilation of the series’ music history? Given the theme of the game, a lot of the music on the soundtrack takes place in an aquatic setting of some sort and the music matches. Only eight tracks were created for the Super Nintendo game. “River – Downstream Stage BGM” and “River – Upstream Stage BGM” both feature catchy melodies and are with bright and bubbly in tone. Likewise, “River – Mountain Stream Stage BGM” keeps the tone of the other river themes although isn’t as strong melodically speaking. “Sea – Seashore Stage BGM” definitely gives off a sea vibe and features one of the better melodies on the soundtrack for the SNES version. “Sea – Open Sea Stage BGM” definitely matches the title’s name in tone and has a bit more of an adventurous feel to it. Lastly, “Sea – Wharf Stage BGM” definitely gives off the feeling of a seaside town in terms of its instrumentation and tone. I really like the mallet percussion in this tune. On the whole, this portion of the soundtrack is quite nice, however, stylistically, it does get a bit samey. The rest of the first disc of the soundtrack is dedicated to the PlayStation game, Umihara Kawase Shun. The tone of the music is largely similar to that of its predecessor and takes place in more aquatic settings and once again only a handful of background music was created for the game. 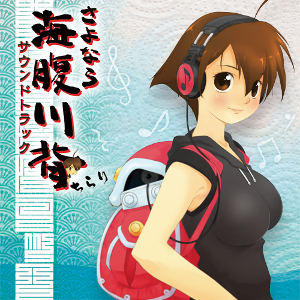 “Tama River Stage BGM” features a nice bubbly tone with a great acoustic melody and some really nice harmonies. Similarly, “Nagatoro Stage BGM” features a great melody and is primarily woodwind and synth driven. “Seashore Stage BGM” features a great beachy vibe and an equally fantastic and lighthearted melody. “Sea Stage BGM” is probably my favorite from this game’s soundtrack. I really enjoy its bubbly nature, backing vocals giving it an old-fashioned vibe, and fun melody. There are also two vocal themes on the album. “Awakening Heartbeat” is a decent pop vocal with an electronic soundscape. In addition to this theme, there are also instrumental and arranged versions. The other vocal, “Sky Blue,” features a nice brassy, jazzy, orchestral pop sound with its vocals. The melody is quite nice and is also lots of fun. In addition to the in-game versions, the full version of the theme is featured on the album, as are instrumental, karaoke, and arranged versions. Speaking of the arranged version, it is done in the style of the game’s music and fits the style of the game quite nicely. Lastly, the Playstation Vita game, Sayonara Umihara Kawase Chirari, is the soundtrack that features the most diversity in terms of sound and length. Gone are the aquatic themed stages and now more of an urban setting are used for the game. Of the three games, this one definitely has the most variety, but also isn’t as strong as the other soundtracks melodically. Before moving onto the stages, there is a “Field Select” theme that manages to impress with its bright, calm tone and its woodwind driven melody. One of the stage themes, “Public Bath” is a quirky, synth driven piece with a serviceable melody. While it doesn’t attain the catchiness of some of the earlier game’s works, it’s still a nice tune on the whole. “Apartments” is a synth led piece with a slower tempo. It’s another fun track. “School” is an upbeat piano led tune, reminiscent of the earlier games, and also features some nice woodwind sections as well. 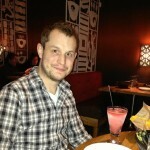 “Bar” features some of the more varied instrumentation on the soundtrack. It definitely reminds me of a pub in terms of style and features some nice woodwind and harmonica sections. Rounding off the compilation, “Can’t Proceed” is a tune with a lounge-jazz kind of vibe, at times, while also demonstrating an island atmosphere. “Parent and Child” features a playful woodwind melody, but also isn’t as memorable as some of the other tunes on the soundtrack. Lastly, “Pout” is an orchestral tune with some pop flavor and also features a wonderful melody. On the whole, the Sayonara Umihara Kawase Chirari Soundtrack is a decent release. It compiles the series’ music on a single disc and makes available the soundtrack to the Vita version of the game, which was previously only available as a pack-in bonus in Japan when you purchased the game. The music can, at times, feel a bit samey due to the stylistic choices of the compositions, but the melodies themselves are, for the most part, quite catchy and help craft the worldview of the series. While the music won’t be for everyone, SuperSweep have done an excellent job by compiling together the three games into one affordable two-disc package. Recommended for fans of the series’ music. Posted on July 21, 2015 by Don Kotowski. Last modified on July 21, 2015.